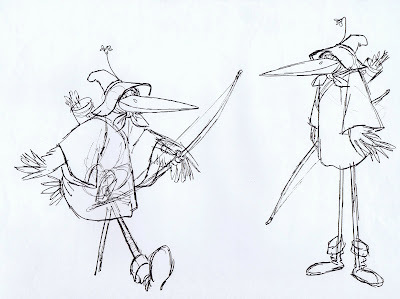 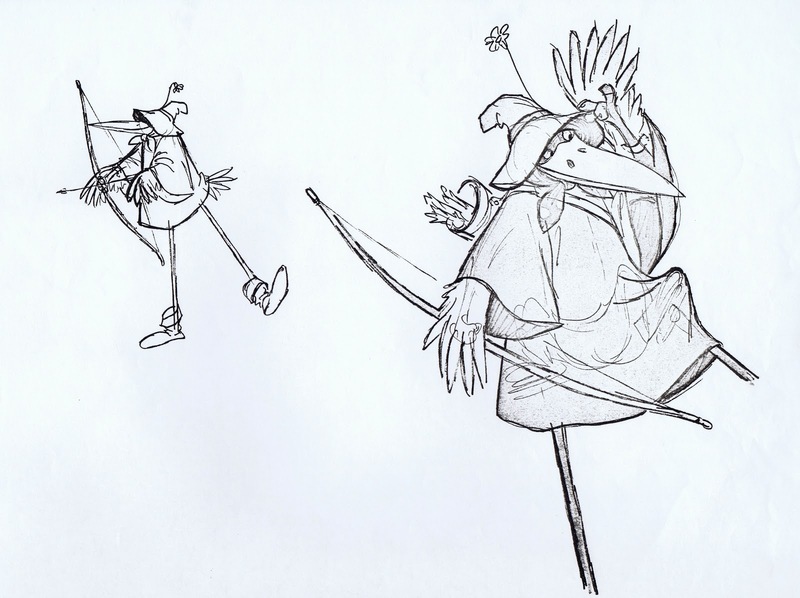 Ken Anderson drew this terrific concept sketch of Maid Marian and Robin Hood, disguised as a stork. 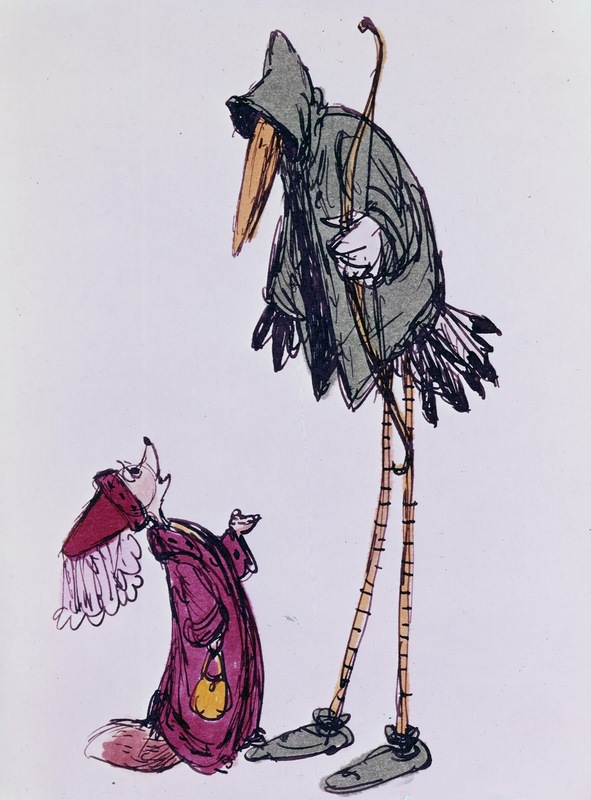 I love the difference in hight between the characters, it makes the staging more interesting than what you see in the film, where the Stork is drawn a lot shorter. 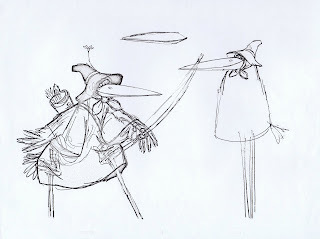 Maybe the taller version made it too difficult to have him communicate with Maid Marian, Prince John and the other characters. 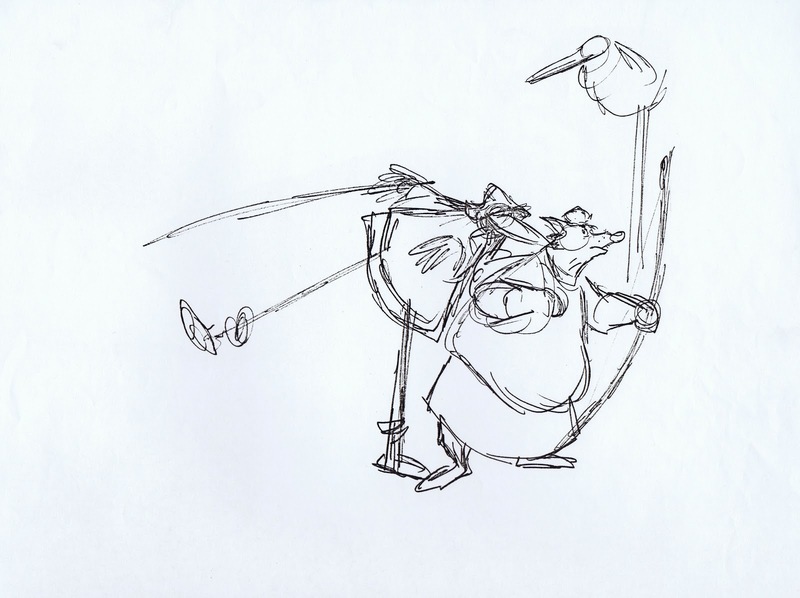 Milt Kahl tried to figure out how this costume would actually fit on the fox' body. He is showing how the stork legs could be manipulated, and how the wings are attached to Robin's arms. It's a realistic and logical approach on how to handle the outfit, but in the movie the Stork is animated more freely without analysis of the costume's mechanics. 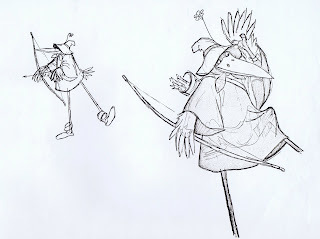 When the beak opens Robin's jaw is exposed inside. 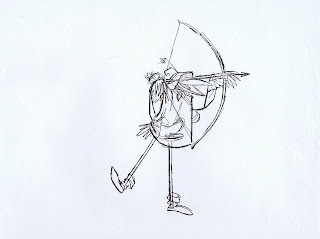 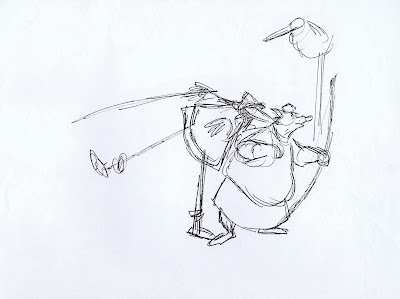 Most of the Stork's character animation was done by Frank Thomas who focused on how Robin Hood would act in this disguise.